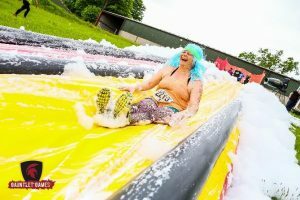 Splash Out for East Cheshire Hospice this summer! Brand new for 2019, Splash Out! 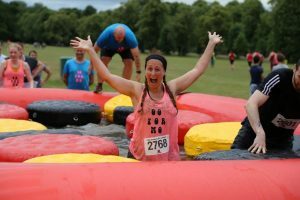 is a fun 5K water based obstacle course for all the family! 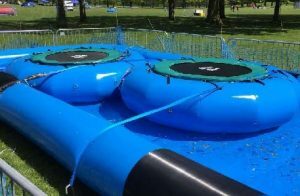 Run around our scenic course and splash through all of the exciting water challenges. Everyone is welcome for this fun run in the grounds of Alderley Park on Saturday 6th July. Waves (starting times) start at 10.00am and will set off every twenty minutes after. Waves will reach capacity quickly, so please sign up on the same wave as your friends to avoid disappointment. Please complete the registration form below with all your details. If you are booking for a group please make sure you know all the names of the participants before completing the form. Please download our Splash Out! Fundraising Pack for more information about the event and some Frequently Asked Questions. Download available at the bottom of the page. As your entrance fee only covers the cost of the event, we do ask that everyone tries to raise some additional sponsorship. Every penny you raise will go directly towards providing Hospice care, your sponsorship really does make a huge difference in helping us to continue to provide care in your local community. 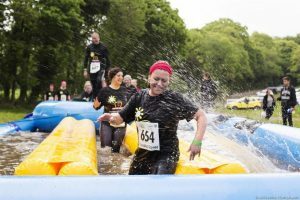 If every adult raises £30 in sponsorship, this will fund two full days of Hospice care. If you do no not want to raise sponsorship but would prefer to make a personal donation, please submit your desired donation in the appropriate field in the registration form. Included with your entrance fee is a t-shirt and a medal. You will also have access to our Charity Village with live entertainment, merchandise, face painting and a wide choice of hot and cold refreshment outlets. We welcome birthday parties, sporting teams and youth organisations. Groups of 10 or more participants will receive a 10% discount. Please contact us on events@echospice.org.uk or 01625 433477 to book in your group. You will need to download and read the Terms & Conditions and the Disclaimer Document before registering. They are available to download below.